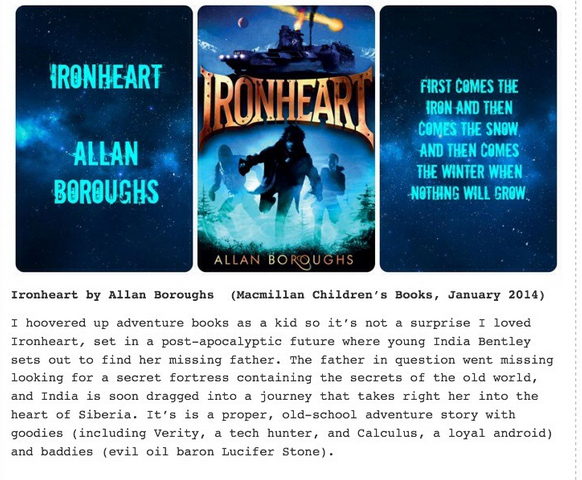 Hugely exciting that Charlotte Eyre from the Bookseller has included IRONHEART in her top 5 children’s books from 2014. In such great company too! Thank you Charlotte.